Blue glaze authentic Japanese style teacup using a "resist" technique that allows the brown lines to show through. 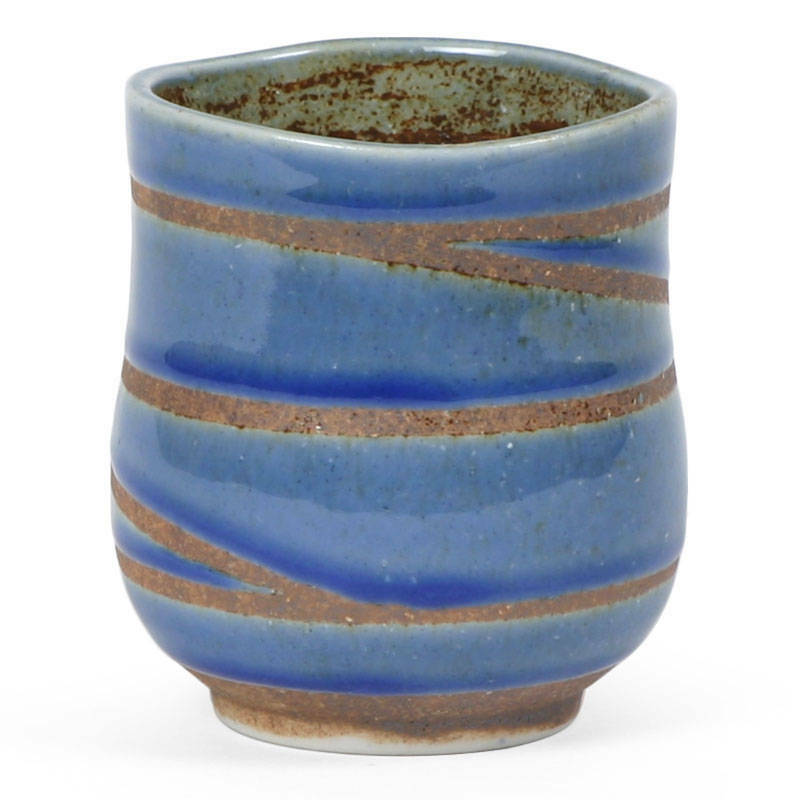 A mixture of colors and textures make this teacup very special. 3.25" diameter x 3.75"h; 10 oz. capacity.